Don’t visit Lakeside without taking time to visit the historic city of Guadalajara, birthplace of tequila and mariachi music. 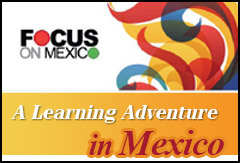 The Focus on Mexico 6-Day Learning Seminar offers an à la carte tour of Guadalajara on Sunday before the formal seminar begins that includes a visit to the Hospice Cabañas, a Unesco World Heritage Site, and home of the unforgettable murals of José Clemente Orozco, often called the Diego Rivera of Jalisco. 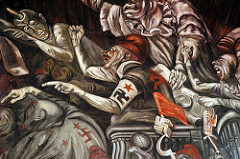 The photo on the left depicts “the clowns of war arguing in hell”, and the murals as a whole take you through the distinctive and difficult moments of Mexican history – from the Pre-Hispanic cultures, to the conquest and oppression by the Spanish. Orozco was known for challenging social norms and conventions about race and identity, making these powerful murals well worth a visit. 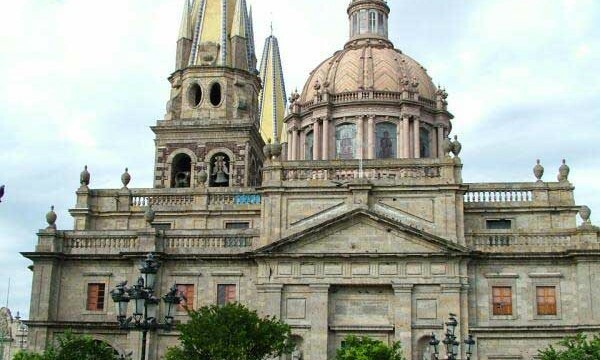 If you are considering joining us to explore Lakeside living, don’t miss this opportunity to experience some of the highlights of the cosmopolitan capital of Jalisco, including the historic center, the Teatro Degollado, and Tlaquepaque, a Guadalajara neighborhood famous for its artisan crafts and mariachi bands. 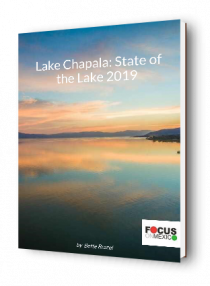 Should you decide to make the move to the Lake Chapala area, you will find regular opportunities to attend the outstanding symphony and opera performances held at the Teatro Degollado, modeled after the Teatro della Scala in Milan. 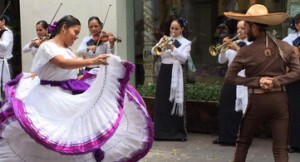 Depending on the performance time, some organized trips to the symphony include dinner at the restaurant of your choice in Tlaquepaque with time for a quick shopping trip before the performance. Typical ticket prices for an opera or symphony performance range from $6-$30 and that is not a typo! The Jalisco Symphony is an internationally acclaimed orchestra and experiencing one of their performances is a special treat. Guadalajara is also the site of the 2nd largest book fair in the world, held every November. The May Cultural Festival runs for the entire month of May and includes artists from France, Germany, Poland and Quebec as well as Mexico. These are just two examples of the myriad of world class shows, performers, actors, and writers that appear regularly in Guadalajara. All of this means that you can have a tranquil Lakeside life and still enjoy everything the big city has to offer. If that sounds like what you’re looking for, sign up now to join our August 12-17 program. I am liking what you have sent so far. I have questions what we’re not answered. I will wait a while.